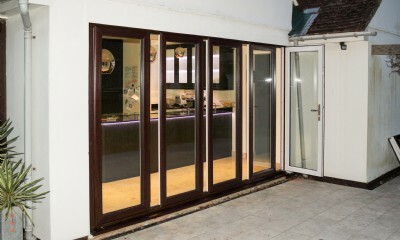 Create more space inside and out with the slide and swing doors.... bring the outside in. New Wave doors offering more versatility in how you open up your space. For familes that require versatility within their active environment, we proudly present our new range of Slide & Swing Patio Doors by New Wave™. The New Wave™ Slide & Swing Patio Doors are a new ground breaking concept that no other sliding door system in the market can match for both elegance and ease of use. This slide & swing patio door system allows you to open any part and use any part of the opening that you wish as their main traffic area. The panels can slide and pivot open or the panels can be moved together like a partition wall. No other door system offers this level of flexibility to you. Seamless beautiful lines with no unsightly hardware. Available in a range of VEKA colours. Open any part of the door required. Boost your living space both inside and out. 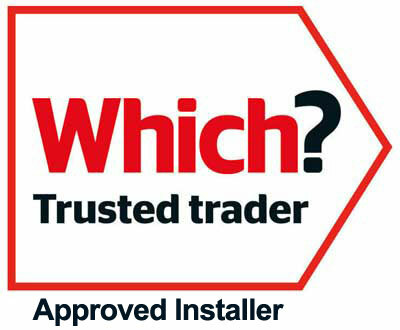 Improved security via an optional ABS 3 Star Kitemark accredited locking system. Patented Magnaline™ slide & stack technology. Operates as a partition or a moveable wall system.